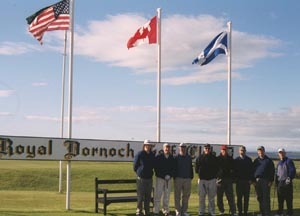 Are you a small group looking for an escorted golf tour in Scotland? Look no further! Scotland has literally hundreds of beautiful golf courses and the vast majority of them welcome visitors from all over the world. 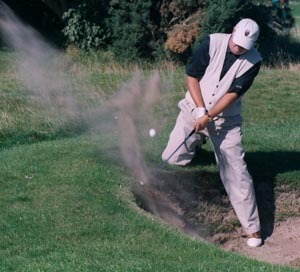 We can offer you a wide selection of itineraries for group golf vacations in different areas of the country to enable you to play the most golf while doing the least amount of travelling. We will provide car hire, driver/guides, mini bus, ferry bookings, accommodation and bookings on almost any golf course in Scotland. 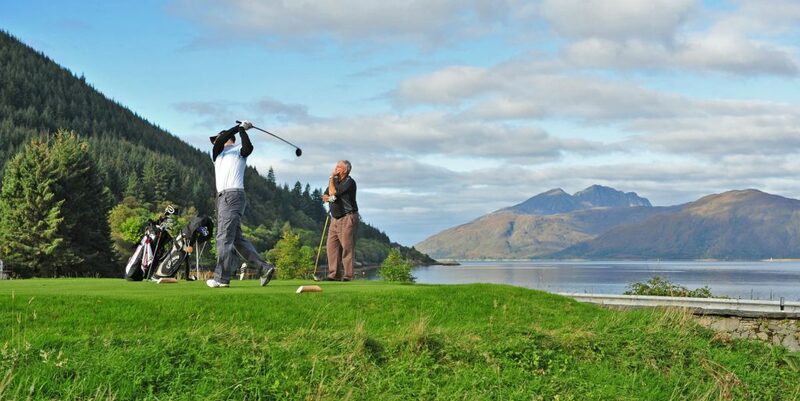 Whatever it takes to make the perfect golf trip to Scotland, we’ll provide. 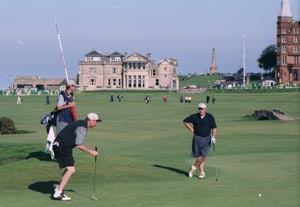 Championship courses, some of the oldest golf courses in the world, seaside links courses, Open Championship courses, woodland, heathland, parkland, the mix of unique and individual tests of golf is never ending and there are also beautiful courses which will appeal to the higher handicapper. We have prepared a set of sample itineraries which offer excellent accommodation and even better golf in six different areas of Scotland. Wherever you wish to go, we can tailor make an itinerary for you and your companions. Welcome to Scottish Golf. We think it’s the best in the world and hope you will too!